I am truly blessed with a great group of friends to play games with. If you listen to The Thoughtful Gamer podcast, you’ve heard from pretty much all of them. Frequently after playing games we’ll have an informal debrief of sorts where we discuss the game and our strategies and why or why not they didn’t work. For people interested in becoming more competitive at games or who want to understand game design better, this is an easy way to make yourself express ideas and test them out among your friends. See, I’ve found that the very act of vocalizing an idea makes it better. When you put your thoughts out there you push them through a filter because of the social pressure (however small) to not say something silly. Then you have the added benefit of discussing the idea with your friends and refining and clarifying it from there. But how do you evaluate your strategy? How do you examine a game to understand its design strengths and weaknesses. Books have been written about this, but I think there’s one fundamental question you can ask yourself as a starting point to cover both topics. What could I have done differently, given my knowledge at the time? The strategic benefit to asking this question should be obvious. If you lost the game, you should look back at your decisions and see what changes you could have made to improve the outcome. Remember that in nearly every game your actions and decisions are a limited resource. You may not initially think of them as resources like whatever currencies are in the game, but they are. 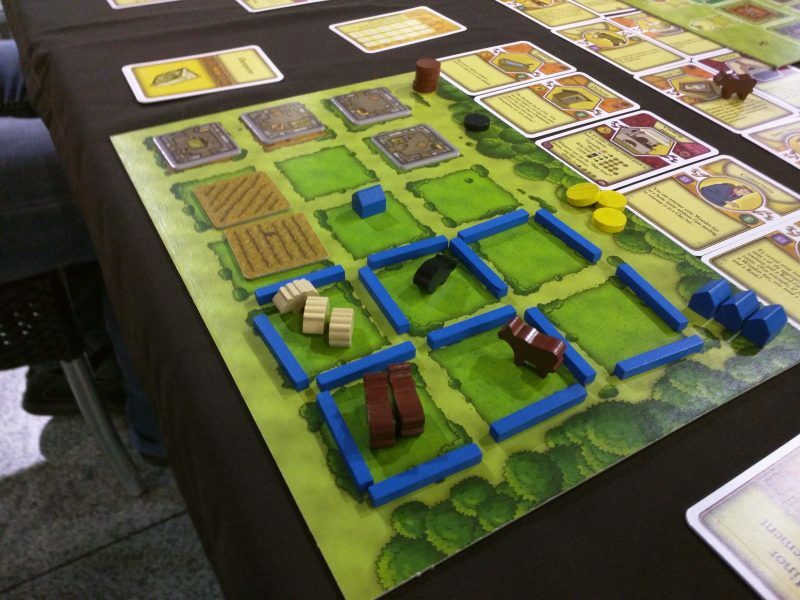 Agricola demonstrates this better than any game I’ve played because you start with feeling like you don’t have enough actions to feed your family and be productive before the “harvest” end of round phase, and then it makes each subsequent harvest phase happen more quickly. You can acquire more actions per round, and that’s one of the most hotly contested actions in the game. Of course, you need to spend an action to get another action per round. The point is that every unit of gameplay can be examined with the question, “what could I have done differently?” But adding “given my knowledge at the time” is absolutely critical. If you take the action with the best chance of success, even if it turns out that a randomizing element would have given a different action a better outcome does not mean that your decision was wrong. On the contrary, an optimal decision (in terms of risk analysis) is still optimal regardless of the eventual result. To think otherwise is to commit a hindsight fallacy, which is a critical error of reasoning. However, you can use information you gained through the course of play to make more informed decisions next time. This is especially important for games that have randomized card draws of some sort. You can look back at your decision and think, “now that I know about the possibility of this card showing up, is there a better choice?” Note that you should make an effort to evaluate that decision based on actual probabilities and not weigh new information more heavily just because you learned about it. In economics there’s the concept of opportunity cost, which is the cost of every decision on the margin. That is, if you have a couple of options on your turn, you’ll have a (conscious or not), ranking of each option. The opportunity cost is the value of the highest action on that list not taken. Thinking about options in terms of opportunity cost can be illuminating. The “cost” of taking an action in Agricola isn’t “an action” in the abstract, but the next best thing you could have done with that action. Therefore, when you’re looking back at your play, consider the possibility that what you gave up might actually be more valuable than what you did. If you’re trying to become a competitive player in a game (as in, compete at tournaments), you might want to consider notating all of your actions and reviewing them comprehensively. For the casual gamer who wants to improve, think back to what seemed to be the most critical decisions in the game. Could you have made a better decision at that moment? If not, was the failure a result of bad luck or circumstances? If the latter, what kinds of alternative decisions could you have made earlier in the game to put yourself in a better position at that critical moment? Fundamentally, games are about interesting choices. This is why Candyland is both awful and not really a game (but perhaps a poignant illustration of existential angst?) 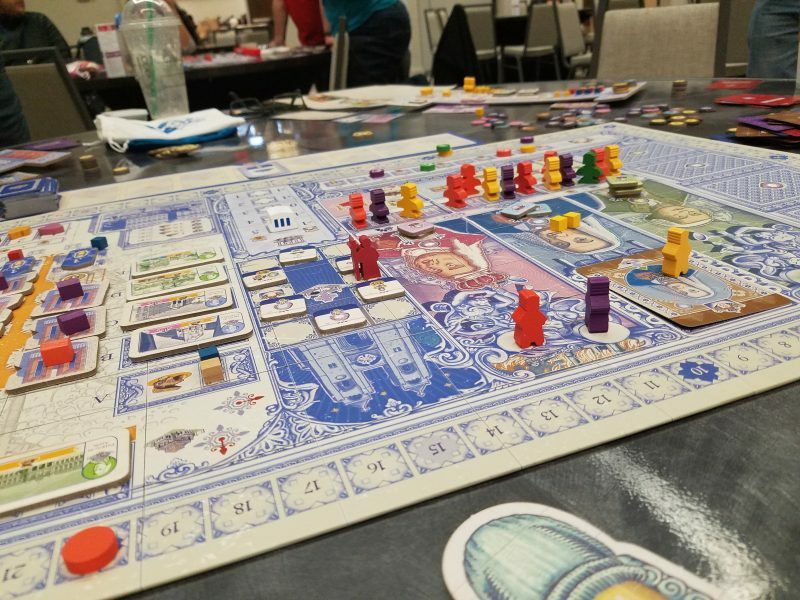 One way (though I would argue not the only way) to evaluate a game is to look at how many interesting choices are offered to the player. I say an interesting choice because a game of “coin flip” has a choice–heads or tails–but it’s not an interesting one. Unless you can prove the coin is tricked somehow, the choice doesn’t actually matter at all; it’s a 50/50 slot machine. So what’s an interesting choice? I’d posit that it’s one in which the road to figuring out a decision is engaging, difficult, and/or thematically pleasing. The last item on that list is tricky and almost always needs the support of the other two items. I’m defining an engaging decision as one that can ultimately be “solved” (proven to be the optimal one) but the thought process to arriving there is intellectually stimulating. A difficult decision is one in which you can’t ultimately determine an optimal strategy because of the complexity involved. Think Chess, where the best human minds can’t beat a computer, but a computer can’t prove to solve the game. Most good modern board games fall in the middle of these somewhere. In a lot of games I feel like I could figure out the best decision with enough time, but I satisfice to a good, engaging choice. When you’re looking at a design, though, make sure your choices are actually interesting. One way to do that? Ask what decisions you could have made differently. What could you have done differently that would have made a meaningful difference? Was there so much randomness that you couldn’t have known of a better decision? Was everything obvious from the start? Were some decisions perhaps better but unengaging and unfun? All of this is fundamental to good design and attacks the heart of games: good decisions. When you think and talk about games when trying to figure out if they’re good or not, what kinds of questions do you ask yourself?